What is the difference between the classes in Texas? 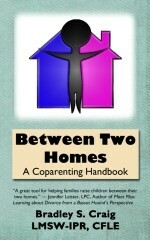 The Between Two Homes®: Children in the Middle Coparenting Class is our live class offered to families within the Dallas-Forth Worth metropolitan area including the counties of Collin, Dallas, Delta, Denton, Ellis, Hunt, Johnson, Kaufman, Parker, Rockwall, Tarrant, and Wise. The Between Two Homes® Coparenting Class is our live class offered to families outside of the Dallas-Forth Worth metropolitan area including Grayson and Ector Counties. What is the difference between classes in Texas and those offered in other states? Classes offered in other states are offered by agencies with a license to teach the class, and may follow a different format and/or duration than classes in Texas.